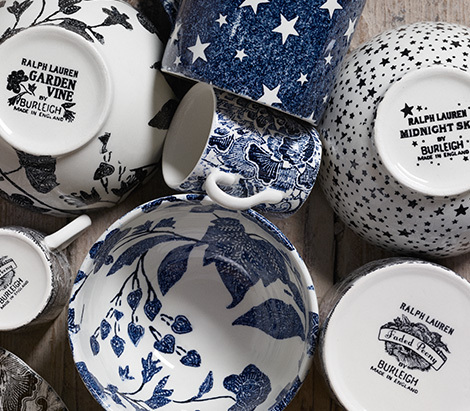 Coming Soon Our new partnership with the English pottery company Burleigh celebrates traditional craftsmanship and contemporary living. 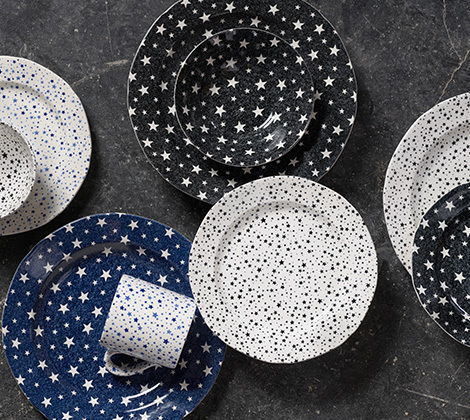 Reimagining classic teatime patterns through our modern Americana lens, the collection of plates, mugs, and serveware is a one-of-a-kind collaboration. Established in 1851, Burleigh is a lesson in living history. 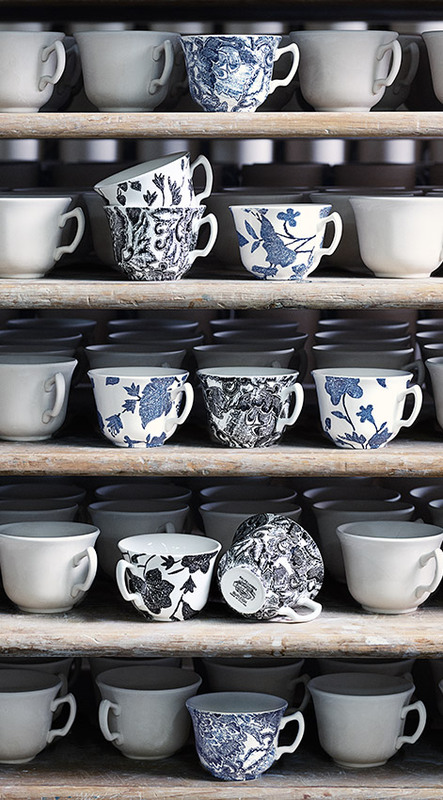 Made with its original 19th-century machinery and a 200-year-old tissue transfer printing technique, each piece of pottery passes through at least 25 pairs of hands before reaching customers. The company’s timeless sensibility and commitment to tradition and painstaking craftsmanship is unwavering—a quality we relate to.